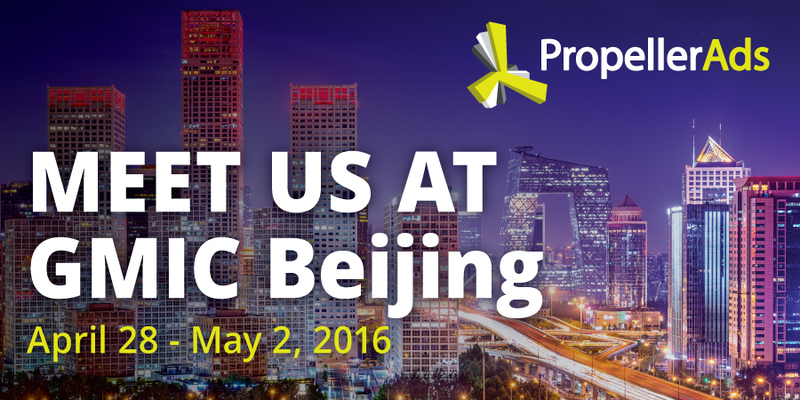 PropellerAds is heading to Asia’s largest mobile technology conference, GMIC Beijing 2016. GMIC gathers mobile executives, developers, advertisers and investors from more than 32 countries to build partnerships. We’ll be happy to meet you there! If you’re planning to attend GMIC Beijing and would like to learn more about Propeller Ads’ cost-effective advertising solutions let’s plan an appointment! For information on exhibiting, sponsoring or attending an GMIC event, please visit the respective website.